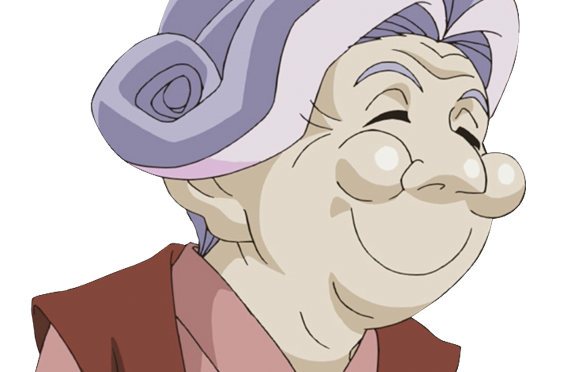 Haru Tsukumo (九十九(つくも) 春(はる), Tsukumo Haru) is the grandmother of Yuma Tsukumo and Kari Tsukumo and mother of Kazuma Tsukumo. Haru has her own Duel Gazer but wears it differently than most Duel Gazer wearers. 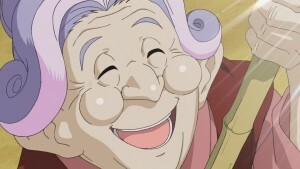 Instead of placing it above her ear, she places it on top of her nose like glasses; possibly to reflect her elderly age. She also appears to have some memory issues shown when she was with her friend Meredith and both constantly forgot what they were talking about.